​Manchester City face Brighton at Wembley on Saturday evening in the FA Cup semi-final, with the Citizens' dream of an unprecedented quadruple still very much alive. Their 2-0 win over Cardiff in midweek made it 19 wins out of twenty matches in 2019, with an incredible 66 goals scored in that time. 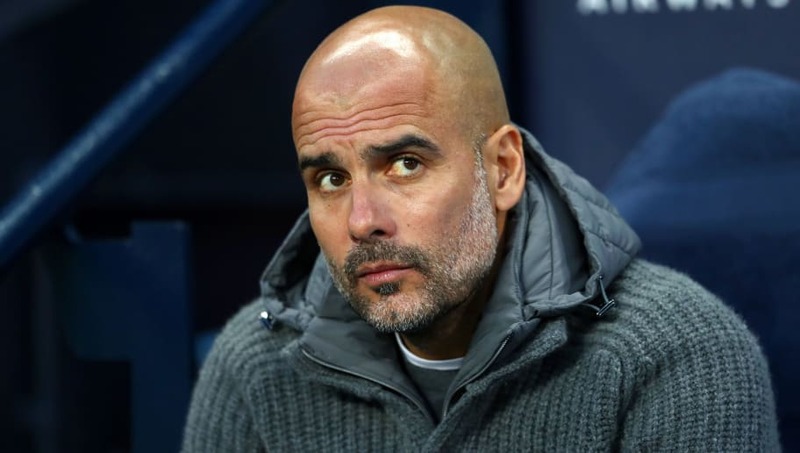 Guardiola made changes against the Bluebirds, including handing a first Premier League start for 18-year-old academy starlet Phil Foden, but it is expected that the Spaniard will revert back to a full-strength side to ensure Man City's progress into their first FA Cup final in six years. City are of course heavy favourites to win the clash, and, in even more ominous news for Brighton, are close to fully fit squad. Ederson (GK) - Has made a hugely positive impact to the City defence since his arrival last summer and has only conceded 16 goals in 32 games this season. Arguably the best goalkeeper in the league with the ball at his feet, his calming presence is major factor behind City's recent dominance. Kyle Walker (RB) - Not had his greatest campaign since that unforgettable World Cup run with England last summer, but his lightening quick pace is a major weapon in City's Arsenal. Constantly overlaps to give his side another attacking option. John Stones (CB) - Looked as if he hadn't missed a step in his return against Cardiff in the week after an injury layoff. His ability to carry the ball forward and start attacks while also being solid defensively has Stones a first choice centre-half for club and country. Aymeric Laporte (CB) - Has been superb in his first full season at the club during his 41 appearances. His mix of passing ability with his strength and pace makes him the ideal Guardiola centre back. Danilo (LB) - With Benjamin Mendy in trouble with the club after being caught in a nightclub at 3:30am last week, along with injuries to Oleksander Zinchenko and Fabian Delph, it looks as though the 27-year-old Brazilian may be the option at left-back. A potential weakness for Brighton to exploit. Fernandinho (CDM) - City look a totally different team when the 33-year-old isn't at the heart of the midfield, and the Brazilian seems to only get better with age. His intelligence and game management are crucial to City's quadruple hopes. Kevin De Bruyne (CM) - In a team exclusively made up of world-class talent, it is often the Belgian stands out above all others. His sheer drive and determination to make things happen in City's midfield is only matched by his incredible ability with the ball at his feet. David Silva (CM) - Arguably City's greatest ever player, Silva should come back into the side to replace Foden. His passing skills and creativity still make him one of the world's top midfielders. Bernardo Silva (RW) -​ Having the season of his life, he will be a serious contender for Player of the Year next month. The 24-year-old seems to get better with each passing game, whether that be as a central midfielder or on the right wing, as will probably be the case at Wembley. Gabriel Jesus (ST) - With 29-goal Sergio Aguero still overcoming a slight injury, Gabriel Jesus will likely be given the opportunity to start. A more than capable replacement, the young Brazilian has more than enough about him to score the goals for City. Raheem Sterling (LW) - The Englishman's improvement this season has been fantastic to watch, and his amazing pace and dribbling ability has now been combined with a hugely intelligent footballing brain. Sterling has become a key cog in the Guardiola machine.